We’ve done some investigation and identified our top 5 travel health apps that can really make a difference in keeping you safe when you travel. The important details for each app are listed below to help you decide. Do you have symptom questions? Search for health answers with iTriage Health, Doctor, Symptom & Healthcare Search app. Find medications, diseases, and medical locations and instantly get answers to your questions on your iOS device. Created by two ER medical doctors, iTriage gives you quick access to a huge healthcare & medical database in your pocket. iTriage has millions of users in over 80 countries around the world. Is iTriage Health an android app patients can take advantage of? Doctoralia enables you to locate health professionals and centers near you, or search for them by name, speciality, city and zip – all from your mobile phone. Find and contact providers easily and access reviews by patients like you. You can also keep a list of your favorite professionals for easy access to their contact info. Currently you can use Doctoralia on your mobile phone in 16 countries: US, Canada, United Kingdom, Australia, India, Spain, France, Netherlands, Germany, Austria, Switzerland, France, Portugal, Russia, Brasil, Mexico. Great for finding the right care when you need it most. Travel Health is a great First Aid resource for all travelers – especially for those times when you can’t access your local physician. 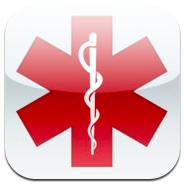 It’s essentially a first aid handbook on your mobile phone. Travel health features a symptom searcher, information on common traveler’s illnesses, and practical tips on staying health while you travel. Easy to follow travel health advice at your fingertips. ICE Standard helps first time responders and emergency room personnel locate a person’s updated medical information, emergency / medical contacts, medical insurance information, blood type, name, address and a photo verification of the individual. Color coding of your medical information helps first responders quickly determine the severity of potential issues with the patient, based on their medical history. Red indicates the individual has severe allergies, medical devices, health conditions, or is on medications. Yellow indicates the individual is taking medications. Avoid allergic reactions to food when you travel! 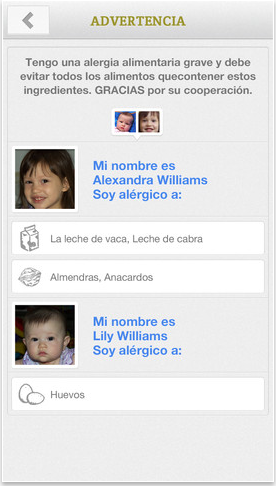 Use this app to create individual profiles for your entire family, each with a different list of food allergies. Then translate those, with a warning message, into a local language. 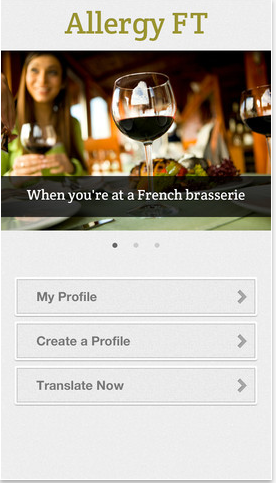 Show your phone to waiters or people serving you food and they’ll know which foods you need to stay away from. The app currently has 62 different food allergies in the following categories. Egg Allergies, Fish Allergies, Milk Allergies, Peanut Allergies, Shellfish Allergies, Soy Allergies, Tree Nut Allergies, Wheat Allergies and more. Current languages: French, German, Spanish. All translations are done by native language speakers. We would be remiss if we didn’t add UniversalDoctor Speaker here as well! The most comprehensive mobile medical translator app – with thousands of sentences and native audios in 13 languages to translate and facilitate your medical visits in over 120 countries. It covers every step of a medical visit, whether you’re at a hospital or a primary care clinic, starting from accurately explaining your symptoms to understanding your diagnosis and treatment. How do we do this? By providing translations from both the patient side and the doctor side that are organized in a way to facilitate multilingual communication between you and a physician. all of the content is 100% offline so you never have to worry about having a data connection to use the app. And best of all, it doesn’t add any weight to your suitcase since it operates directly from your mobile device (iPhone or iPad… Android version coming soon!). So in addition to our top 5 travel health apps, make sure you take UniversalDoctor Speaker with you too. 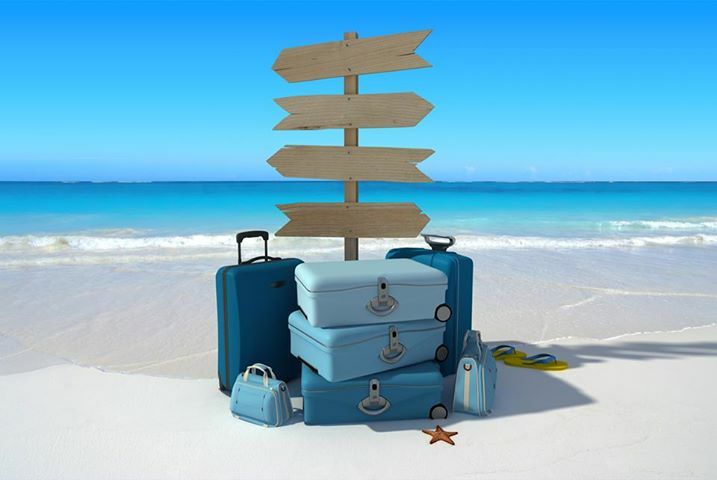 Wishing you happy, safe and healthy travels from the team at UniversalDoctor! Give mothers a chance ! Exciting Announcement from UniversalDoctor at the mHealth Summit! UniversalDoctor aggiunge una nuova lingua – italiano! 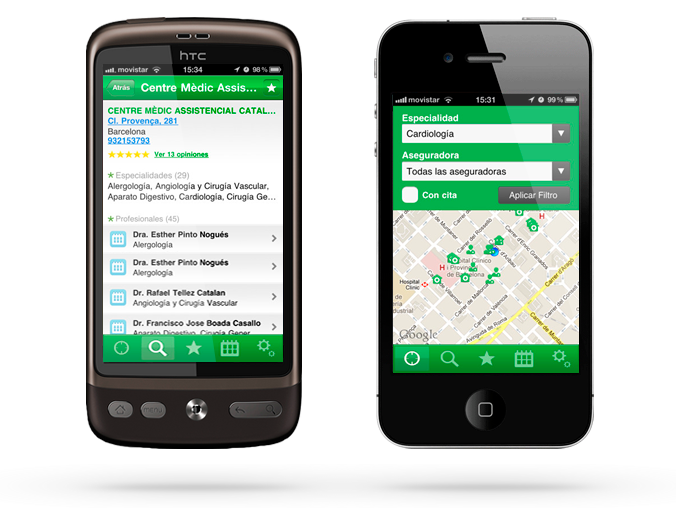 UniversalDoctor facilitates health care communication in multilingual contexts.